Turn Visual Studio into a powerful development environment for SQL Server, Azure SQL Database and Azure SQL Data Warehouse. Editing T-SQL in your database is easier thanks to enhanced IntelliSense and error highlighting. Identify syntax and schema reference errors, track the impact of your changes using Find All Reference and Go To Definition. 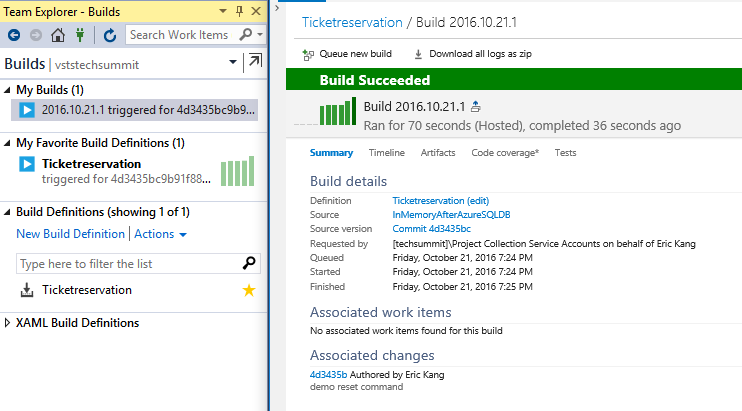 By the time you finish typing, your T-SQL script is already tested and ready to run. Focus on what your table should be. Forget how to get there. Use Table Designer to design a new table, modify existing table, or quickly add new or modify existing columns, constraints and indexes. You don’t need to write the complex code to alter affected indexes, views, procedures and functions – Visual Studio writes the change script for you. Just focus on what your table should be. Viewing and editing data in a table is the most frequent task for developers but it usually requires writing a query. With Visual Studio, view and edit data in a tabular grid, filter the grid using a simple UI and save changes to your database with just a few clicks. Do you ‘diff’ to know changes in your application’s source code? You can do diff on multiple versions of your database using schema compare and data compare in Visual Studio. The result of the comparison between two databases or database projects is analyzed and allows you to apply the change from source database to target, or simply generate T-SQL scripts you can view, modify and run at your control. Continuous integration and continuous deployment has become a common practice for modern application development projects. 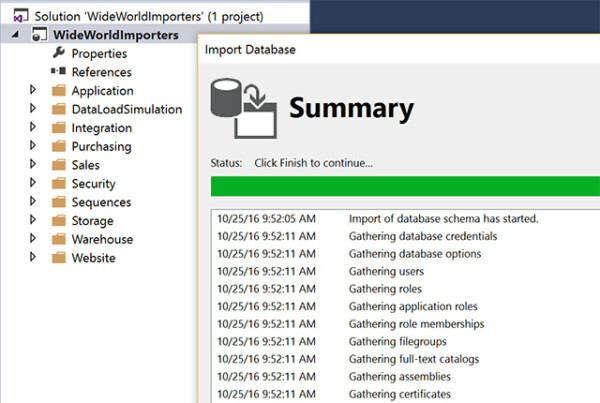 Use Visual Studio to bring databases into your end-to-end application development lifecycle (ALM) practice by fully automating build and deployment whenever a change is made to your application and database. Invest 10 minutes to significantly boost the chance of success for your project.